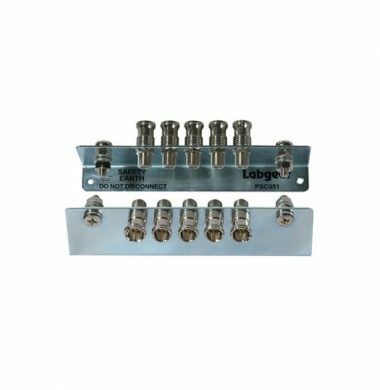 The Muxlab 500017 S-Video / Audio Balun allows one (1) S-Video channel and two (2) audio channels to be connected via four (4) unshielded twisted pairs. When used in pairs, the S-Video/Audio Balun is used in home or commercial applications as a smart, fast and cost-effective means of connecting S-Video equipment using twisted pair instead of coax cable. 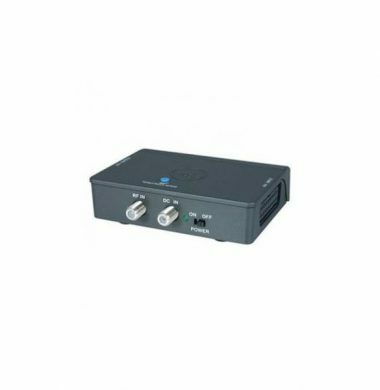 The S-Video / Audio Balun may also be used in conjunction with MuxLab’s CCTV-Audio / Video Hub (500200) for video distribution to multiple monitors. 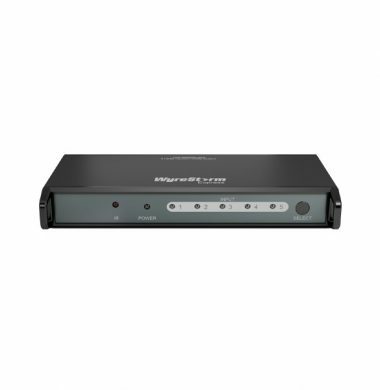 Ideal for video-conferencing, audio-video distribution, S-Video and other dual audio-video systems. 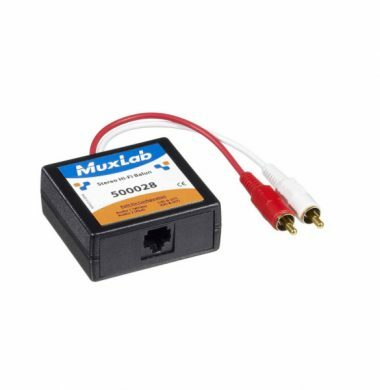 The MuxLab 500028 Stereo Hi-Fi Balun allows unbalanced line level stereo analogue audio to be transmitted via Category 5 unshielded copper twisted pair (UTP) in a point-to-point connection. The product is designed for audio applications where full-range, Hi-Fidelity audio frequency response is required. 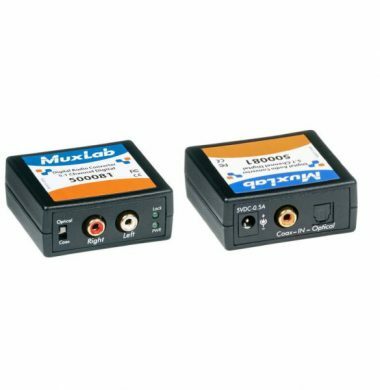 Used in pairs, the MuxLab Stereo Hi-Fi Balun eliminates costly and bulky coaxial cable, allowing audio equipment to be connected or moved within a structured cabling environment. 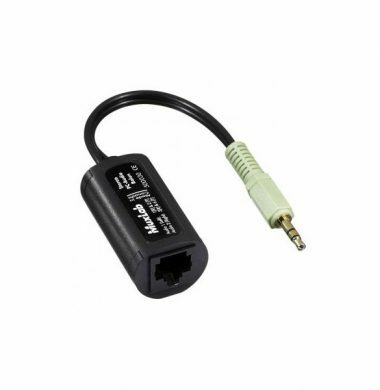 Unlike the analogue audio balun used in pairs, the stereo HiFi balun has an RJ45 socket for connection using a patch lead, making connections easier in a LAN network with wall mounted data outlets. 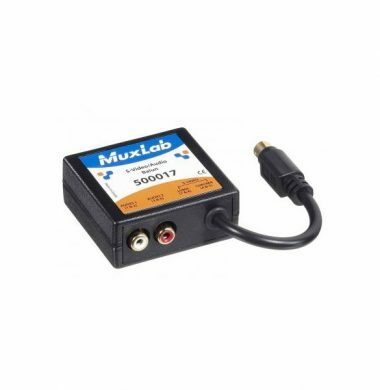 The Muxlab 500030 Stereo PC-Audio Balun allows unbalanced line level stereo analogue audio to be transmitted via Category 5/6 unshielded copper twisted pair (UTP) in a point-to-point connection. The Muxlab 500044 will enable you to split on a one in three out basis. if your have a Music source one one main area possible reception and you require the music-audio to be distributed over a long distance to three amplifiers/receivers in three other areas, coffee lounge, restaurant, sun room. The Muxlab 500044 Stereo Analog Audio Splitter facilitates this type of distribution. All rooms will have the same audio source, but the volume can be controlled independently in each area. 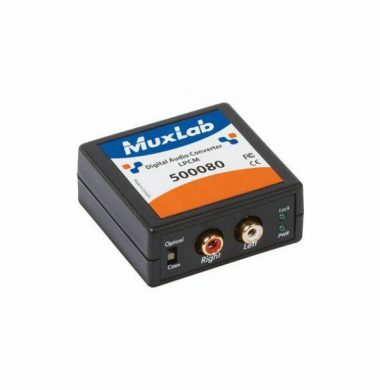 The Muxlab 500080 Digital Audio Converter, LPCM converts one LPCM-encoded coaxial (S/PDIF) or optical (TOSLink) digital audio signal to a standard left/right analog audio output, thereby allowing a digital audio source such as a DVD or CD player without RCA analog audio output to be connected to an audio-video receiver or TV. The Muxlab 500081 Digital Audio Converter, 5.1 Channel converts one 5.1 Channel encoded coaxial (S/PDIF) or optical (TOSLink) digital audio signal to a standard left/right analog audio output, thereby allowing a digital audio source such as a DVD or CD player without RCA analog audio output to be connected to an audio-video receiver or TV. 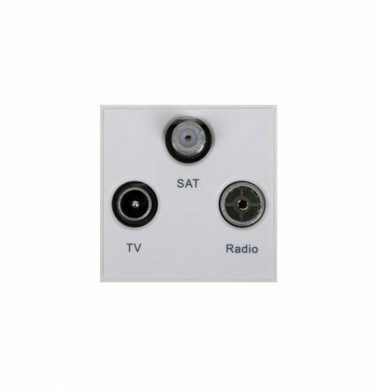 The MuxLab RF/TV (CATV) Distribution Hub allows a terrestrial Freeview RF video signal to be distributed to multiple RF receivers via Cat5e unshielded twisted pair cable. 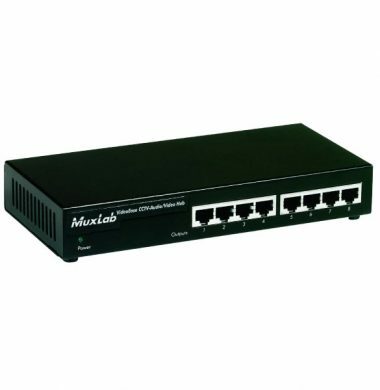 The MuxLab CATV Hub is available in two (2) configurations; Eight (8) ports: 500301 and sixteen (16) ports: 500304. The MuxLab RF/TV Hub works in conjunction with MuxLab’s passive RF/TV Baluns (500302 and 500306) and other RF video equipment for a more complete cabling solution. 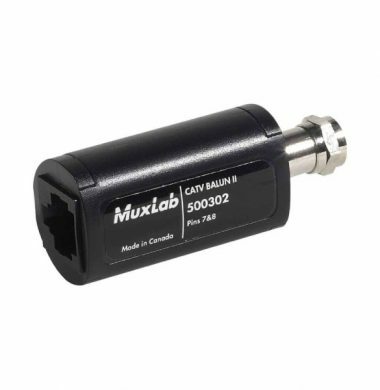 The MuxLab 500302-II VideoEase RF/TV balun allows you to transmit RF signals from your UHF and FM aerials, or distribution amplifier, to the TV’s or Radios around the house, etc using Cat5e or Cat 6 unshielded twisted pair cable in a point-to-point connection. It can also be used with Sky, Sky Plus or Sky HD on the RF output from the Sky digibox to send the modulated signal to other TV around the property.The RF/TV balun saves the cost of installing expensive and bulky coax cable and is a smart, fast way of distributing RF signals. 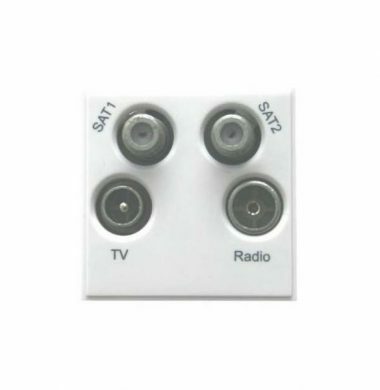 Please note: Sky Remote TV Eyes cannot be used with these baluns to remotely control Sky boxes as they will not pass the 9V DC supply back to the Sky Box. The HDMI Econo Mono Extender Kit allows HDMI equipment to be connected up to 230 ft (70m) via one Cat5e/6 cable in a point-to-point configuration at 1080p Deep Colour. The 500451 support IR source control and includes one IR emitter and one IR sensor. The kit comes with one transmitter, one receiver and one power supply. The 500451 is perfect to use in environment such as commercial and residential AV systems, classroom projector systems, digital signage, and boardroom systems, this kit is an extremely versatile product with endless possibilities for use. The Muxlab 500454 HDMI/RS232 Extender Kit allows HDMI equipment to be connected up to 230 ft (70 m) at all resolutons up to 1080p via one Cat 5e/6 unshielded twisted pair cable in a point-to-point configuration. Furthermore, the product supports RS232 to allow control commands to be transmitted between the HDMI source and receiver. 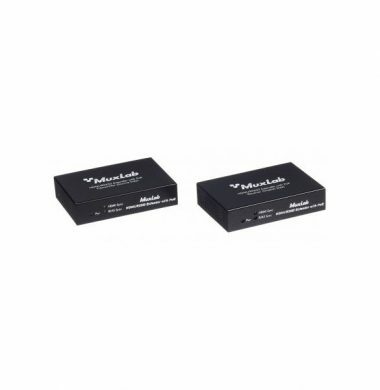 The Muxlab 500454-PoE HDMI/RS232 Extender Kit allows HDMI equipment to be connected up to 230 ft (70 m) at all resolutions up to 1080p via one Cat 5e/6 unshielded twisted pair cable in a point-to-point configuration. Furthermore, the product supports RS232 to allow control commands to be transmitted between the HDMI source and receiver. The product is available in a “PoE” configuration to allow the HDMI/RS232 Receiver to be powered by the transmitter for greater ease of cabling. The HDMI over IP Extender Kit with PoE allows HDMI equipment to be connected up to 330feet (100m) @ 1080p via one (1) Cat5e/6 unshielded twisted pair cable in a point-to-point configuration. Point-to-multipoint and multipoint-to-multipoint is possible by connecting several Transmitters and Receivers to the same Ethernet network. 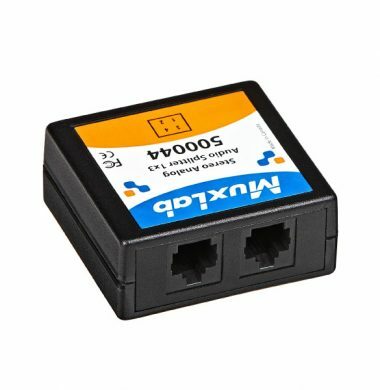 The Transmitter (500752-TX) and Receiver (500752-RX) also support PoE (PD) if used with a PoE (PSE) Ethernet Switch. The kit comes with one (1) Transmitter and one (1) Receiver. 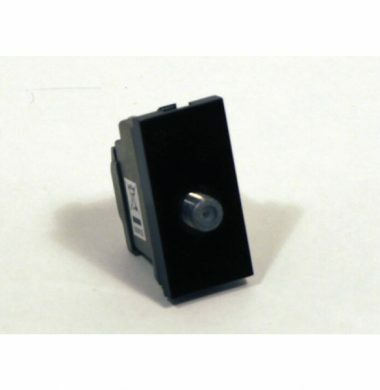 The IR Emitter and IR Sensor, if required, may be purchased separately for remote control applications. For the point-to-multipoint and multipoint-to-multipoint configuration the Ethernet switch must have Gigabit ports, DHCP Server capability and IGMP communications protocol. MuxLab recommends using the Cisco SG300 Series Managed Switches. The MuxLab Pro Digital Network Controller (500811) is available to simplify the configuration and utilization of the MuxLab IP based products via an Ethernet web interface, and supports third party management via smartphone and tablet. 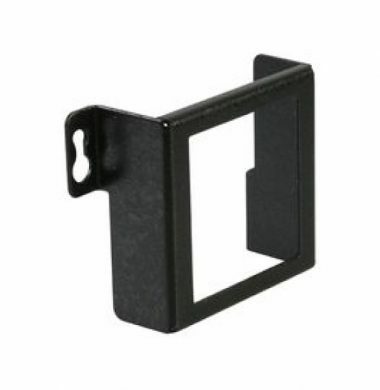 The MuxLab Surface Mount Balun Plate (500915) allows any MuxLab square balun to be installed on a wall or furniture surface for a more permanent and secure installation. Head-end AV equipment such as DVD players, video servers and Sky boxes may be installed in a local wiring cupboard and connected to the Cat5e structured cabling system via a wide array of MuxLab balun solutions. 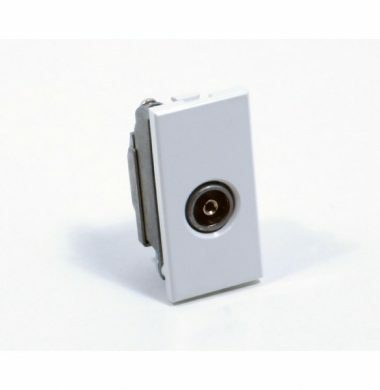 This Triax Triplex module has one LNB feed (F-type) to the main digibox location from the Sky dish, co-ax for UHF signal to the VCR or TV, and an FM/DAB outlet for radio. This is suitable for Sky digital or a non recording freesat box or freesat TV, which just require a single LNB downlink. 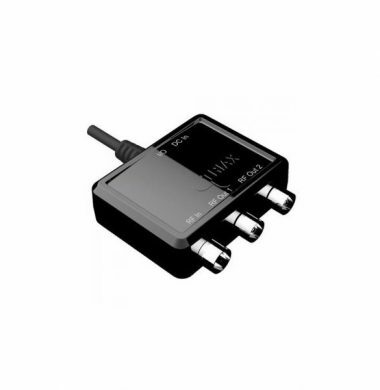 For Sky HD and Sky Plus or a freesat PVR you need two LNB feeds, as provided by the Triax Quadplex outlet module. This Triax 304264 Quadplex module has two LNB feeds (F-type) to the main digibox location from the Sky dish, co-ax for UHF signal to the VCR or TV, and an FM/DAB outlet for radio. For Sky digital you will use just one of these downlinks, for Sky HD and Sky Plus you will use both LNB feeds. The new compact and stylish, Triax Tri-Link Kit solves the issue of Freesat, Sky and Freeview distribution around the home. The Triax-Tri Link gives you the ability to view and control all STB’s on existing analogue sets. The Triax iOLink adds RF2 out TV aerial in and local RF1 out, to new Sky HD boxes with an iOLink connector. 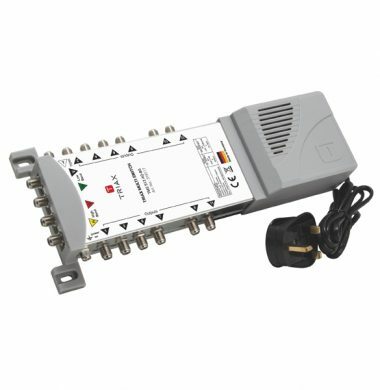 The Triax TMS512 is a 5×12 Stand Alone Multiswitch with Quad / Quattro LNB Support, designed for the residential sector the Triax TMS512 Multiswitch can increase the number of points providing full access to Satellite, Terrestrial and Radio Services around your home. 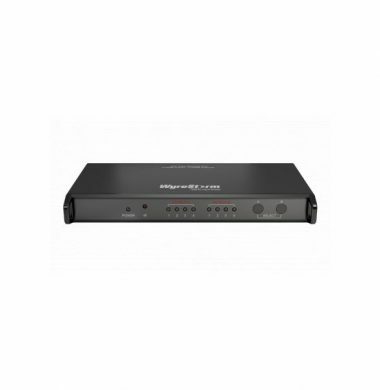 The WyreStorm Express SW0301-010 is an HDMI switcher that enables 3 HDMI audio or video sources to be simultaneously distributed to a single HDMI display output with control via front panel or IR/remote handset and offers full HD support for audio and all video formats up to 1080p / 24Hz, including full 3D compatibility. 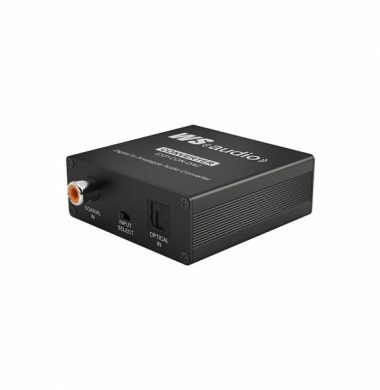 The WyreStorm Express EXP-CON-DAC is a digital to analogue audio converter capable of decoding connected S/PDIF coaxial or TOSLINK optical digital audio sources to standard analogue stereo (L/R) audio with inputs selectable via onboard input select switch. Stereo output signals can then be fed to external devices such as an amplifier, Hi-Fi, recording deck, or powered speakers via standard phono style (RCA) jacks. Its compact design specification means installation will not be a problem. 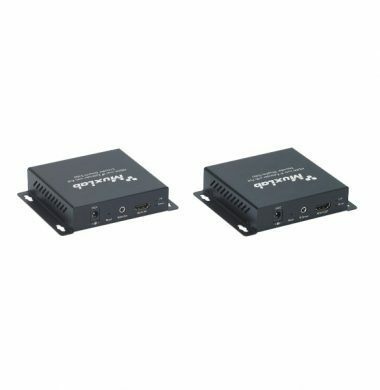 The WyreStorm Express EXP-MX0402-001 is a 4-input 2-output HD matrix switcher best suited for home and small-scale retail applications. The 4 x 2 matrix switch supports up to 4 HDMI input video sources, and distributes full 1080p HD video and HD multichannel audio to 2 displays simultaneously using standard HDMI cable.